Opened in 2008, the community is surrounded by Medea Way and Maya Circle. These are attached structures with 2, 3 and some 4 bedroom units. Some have a garage and some may have a basement, when available. Central air conditioning, gas heat, and backyard patios or balconies are in the units. When these units were constructed, the Floor Plans were The Aspen Condo and The Sierra and The Magnolia Townhouses. You can reach Islip Landing from the Southern State Parkway To Exit 43A, Continue North On Carleton Ave To 2nd Light, Turn Right On Courthouse Drive To Eastview Blvd, Turn Left And Continue To Islip Landing. Islip Landing in Zip Code 11722, offers it’s homeowners a clubhouse with meeting room, gym, billiards, cards, outdoor pool, and play area. Pets are welcome. According to public records of the multiple listing service, in 2015 there were closed sales at Islip Landing in Central Islip Long Island between $235,000 to $350,000. 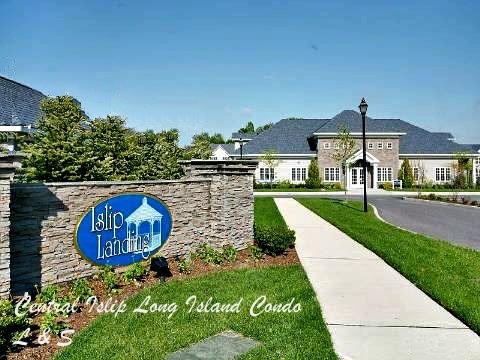 Islip Landing is located in Central Islip New York and is just minutes away from CitiBank Park, and is convenient to Highways, Golf, and Shopping.